My typical breakfast includes eggs, especially when I am following a low carb diet. But there are times when boredom sets in and I just have to have something else. 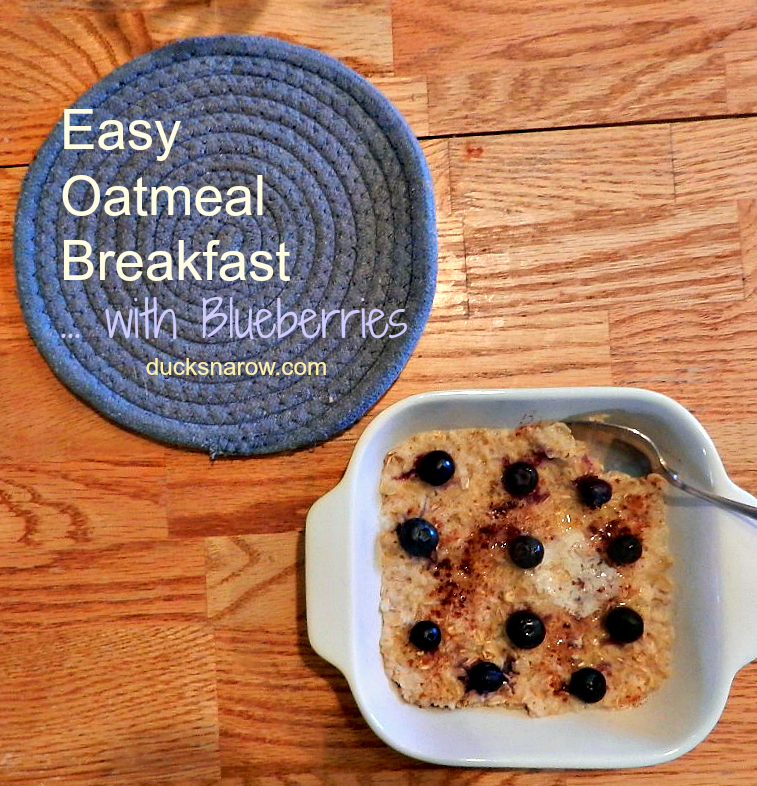 On those days, I often make oatmeal and this is my go-to recipe: easy microwave oatmeal with blueberries. Notice the melted butter on top? That is the game-changer for me. Butter enriches the flavor. Yum! Pour dry oatmeal in microwavable bowl. Sprinkle with pinch of salt. Sprinkle with 2 dashes of cinnamon. Add a pat of butter to the top. *Blueberries: use fresh blueberries or thawed frozen blueberries. **Walnuts: for those who love nuts, walnuts taste great in this recipe. 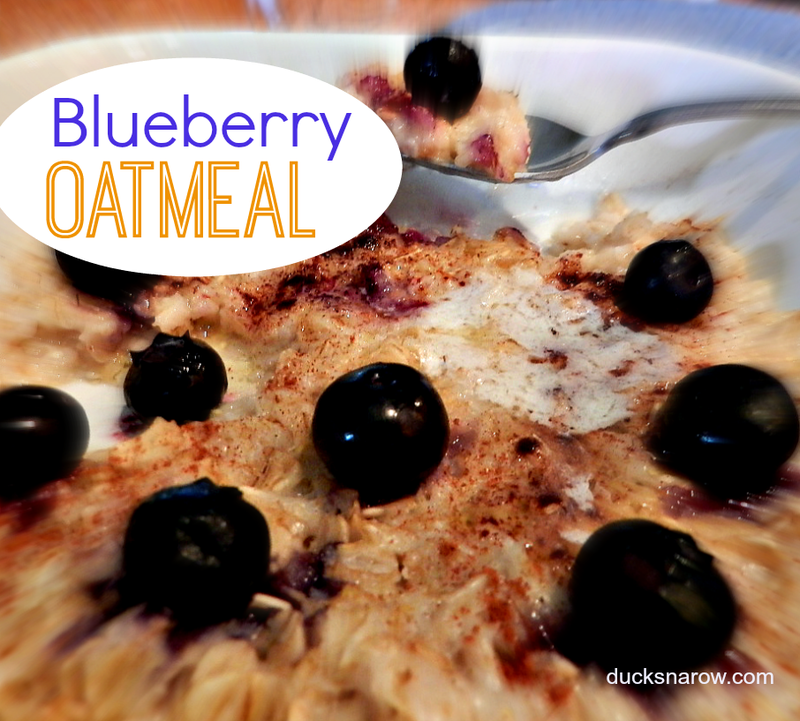 Delicious and quick breakfast recipe – Buttery Blueberry Oatmeal!